Without a doubt, mood swing emotions stretch all across the board, from anger to sadness to euphoria to irritability, causing women agony for weeks or months to come if left untreated. However, how do you actually define mood swings? Continue reading to learn more about the definition of mood swings as well as what you can do for help to finally stabilize your temperament. 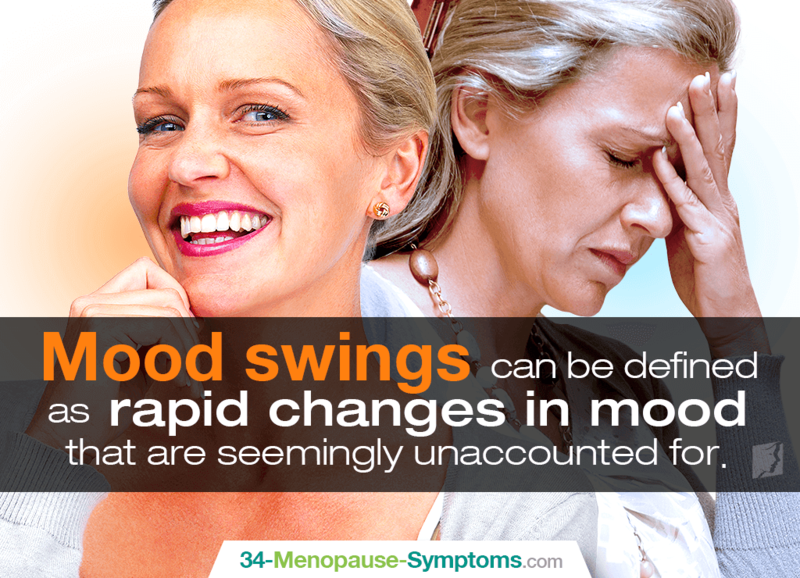 Mood swings can be defined as rapid changes in mood that are seemingly unaccounted for. One minute a woman could be excited and optimistic about her current situation, and within the next minute, she could be crying or outraged with no apparent cause. The episodes are random. Mood swings can be considered part of a variety of mood disorders, which include bipolar disorder, major depressive disorder, cyclothymic disorder (less extreme version of bipolar disorder), premenstrual dysphoric disorder, and more. Moreover, although they can happen at any time of life, mood swings are most characteristic of the menopausal transition as drastic hormonal fluctuations occur. Since principle reproductive hormones - estrogen and progesterone - have an effect on neurotransmitters in the brain, lowered levels of both can negatively impact a woman's well-being. Women should seek help from a trusted mental health professional if they feel that their mood swings are interfering with everyday life, causing dependencies on drugs or alcohol, or leading to suicidal thoughts or behaviors. For women passing through the menopausal transition, the best mood swings treatment revolves around fixing the underlying cause, hormonal imbalance. This involves implementing easy lifestyle changes - like optimizing your diet with phytoestrogens and proper nutrients - as well as taking alternative medicines of phytoestrogenic supplements (dong quai, black cohosh, etc.) or hormone-regulating supplements, like Macafem, which nourish the endocrine glands to produce their own hormones. With proper initiative taken, you don't have to let this troublesome menopause symptom ruin your life and relationships. Take action today to get back to having satisfactory well-being.